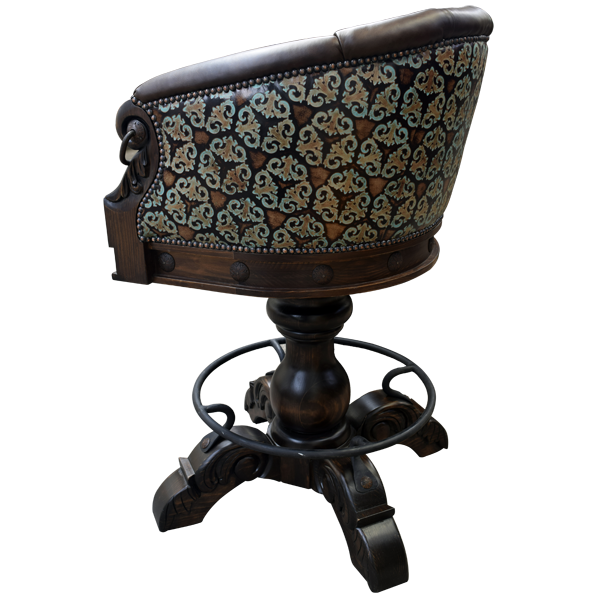 This Spanish colonial style bar stool reflects the Baroque influence of that period. The reverse side of the seat back is ornately decorated with floral patterns in embossed full grain leather. 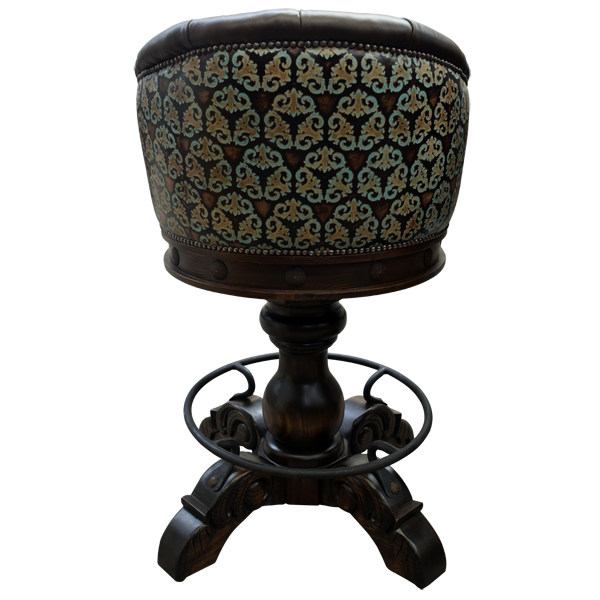 The turquoise, black, and red of the floral pattern makes a beautiful contrast with the other design elements of the bar stool. The seat and inside seat back are upholstered with dark mahogany colored genuine leather and the central part of the inside seat back is finely button tufted. 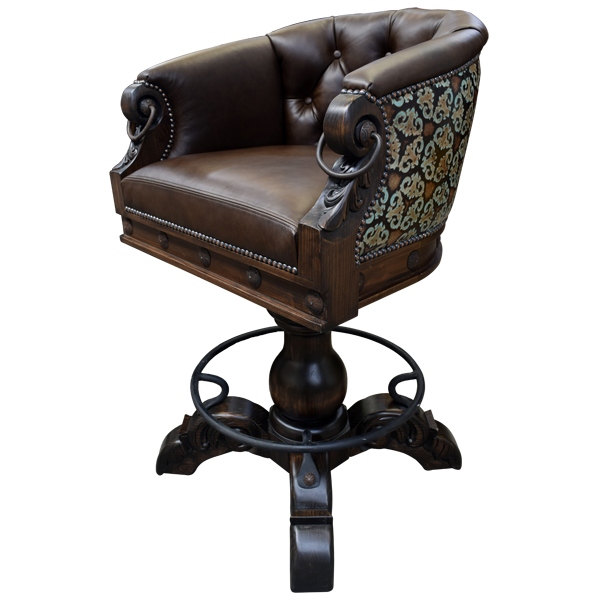 Each armrest has a hand forged iron ring and the armrest have ornate hand carvings. 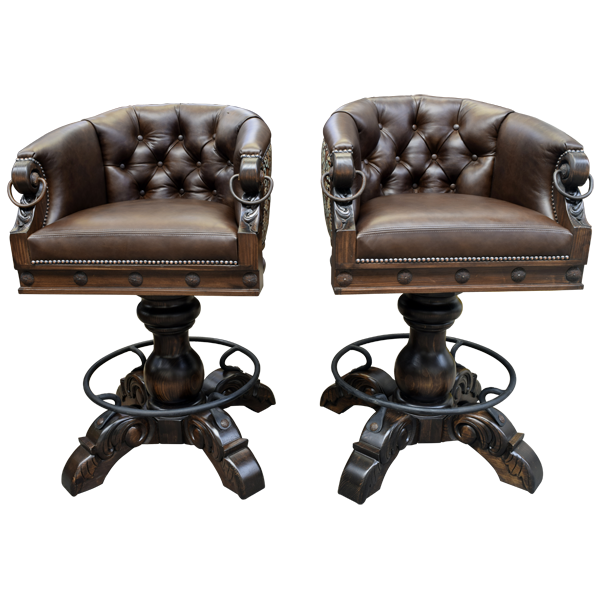 The spectacular full grain leather upholstery is carefully hand tacked around the entire body of the bar stool. 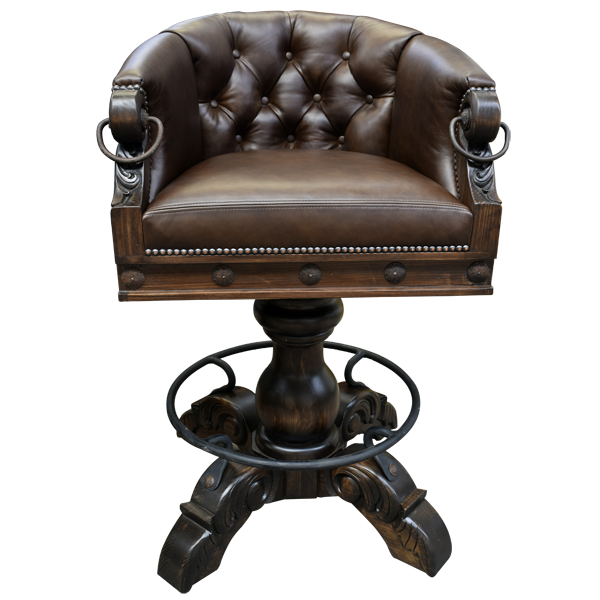 The entire seat is resting on a hand turned wood trumpet pedestal that is supported by four strong wood feet, joined by a hand forged circular footrest. This bar stool swivels 180° and is 100% customizable.